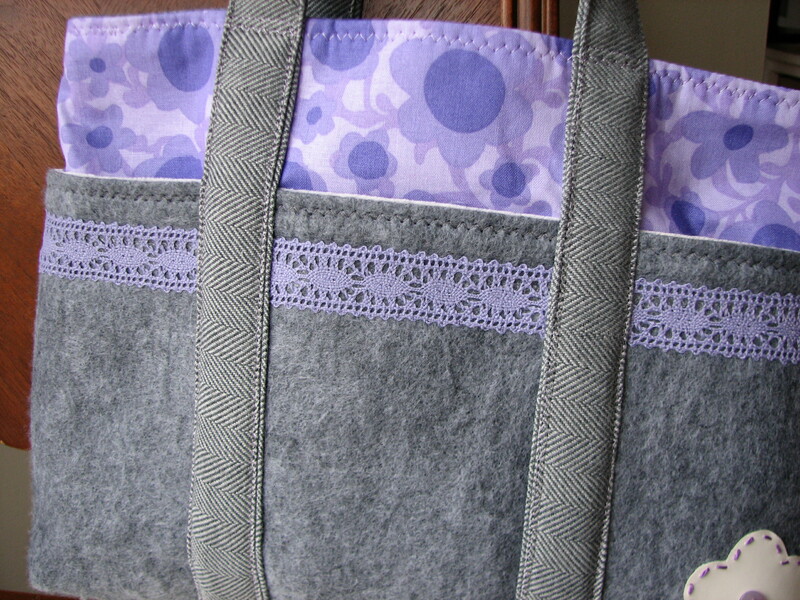 For directions: http://www.allpeoplequilt.com/projects-ideas/bags-pillows/pick-a-pocket-purse_1.html One pattern alteration ~ using different fabrics for pocket interiors. When sewing all the layers together, double check the line-up of pockets on side seams. 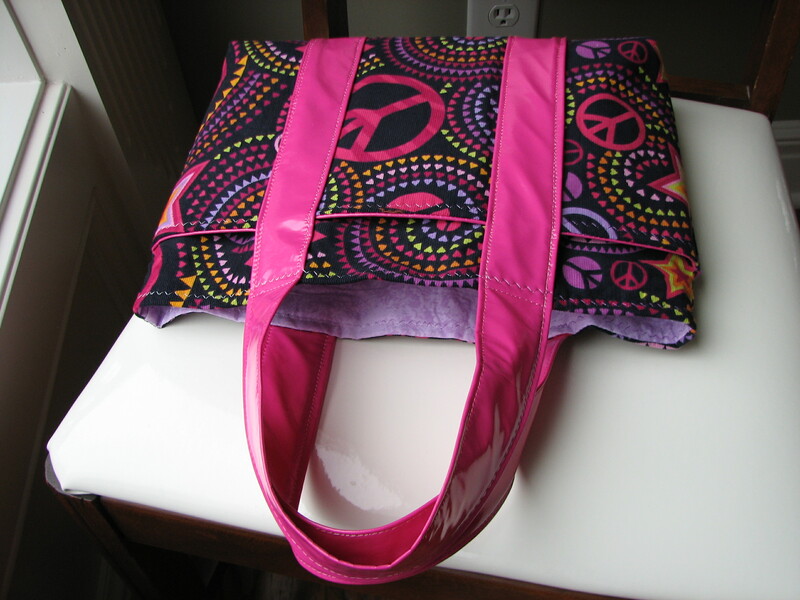 The purse was incredibly thick but my basic 25 year old Kennmore sewing machine could handle the task. Cream corduroy, cotton purple flower print, grey felt & herringbone. 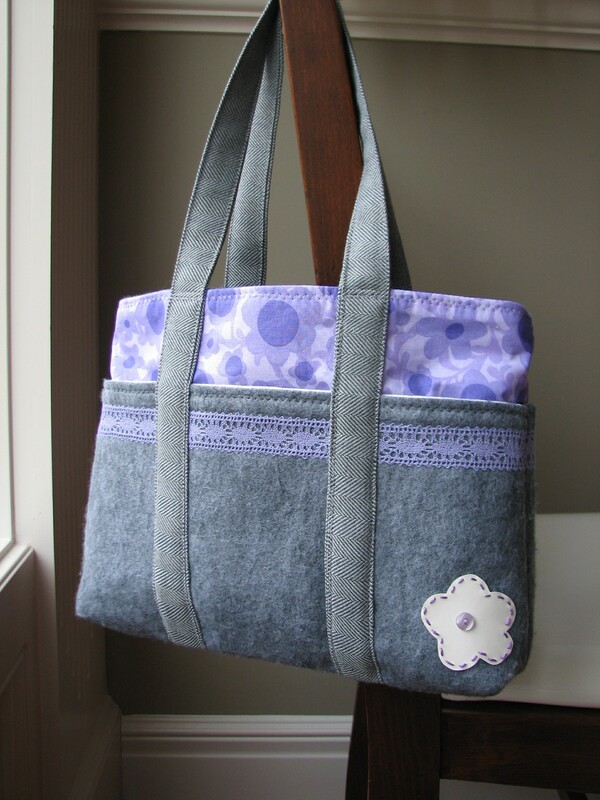 Plus two added embellishments: lavender trim & a vinyl flower. 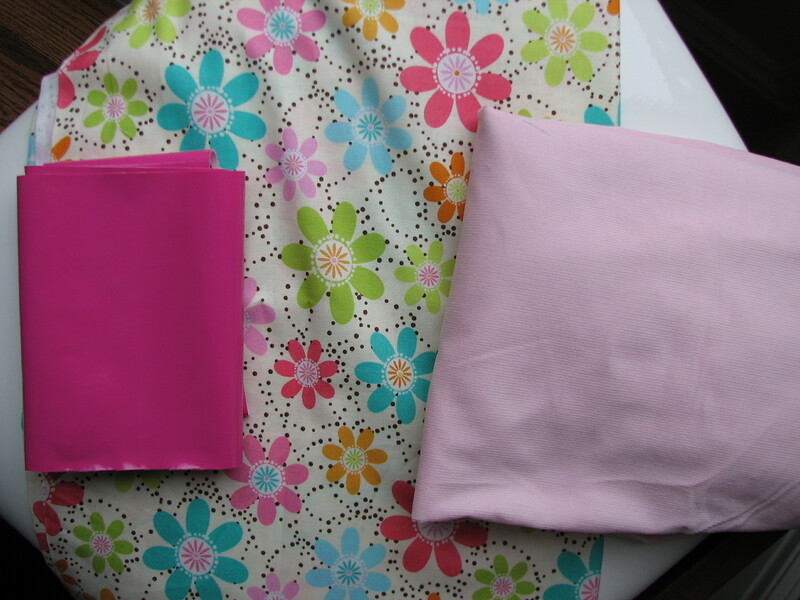 The trim & flower were added during the construction process, prior to sewing every layer together. 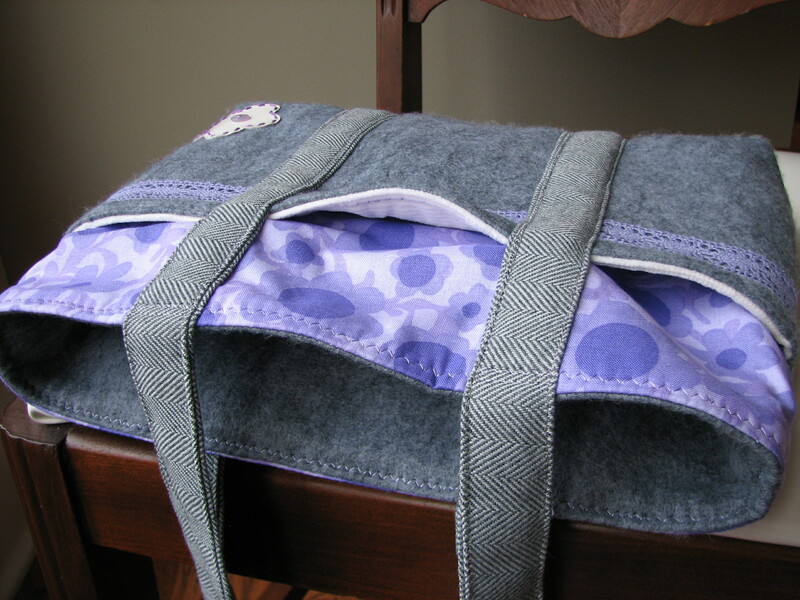 Lavender trim was secured with iron-on adhesive & tiny stitches with needle & thread. 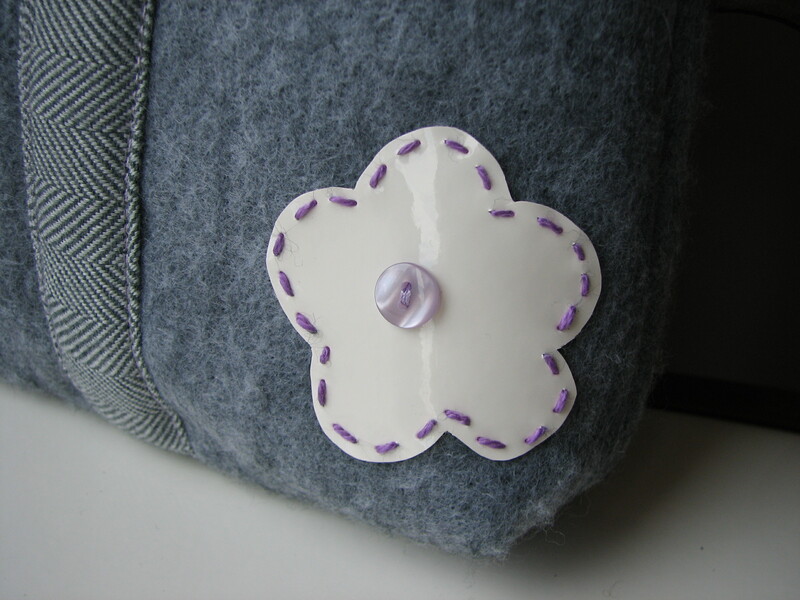 The shiny cream flower is held in place with a sewn on button & with an embroidery straight stitch. 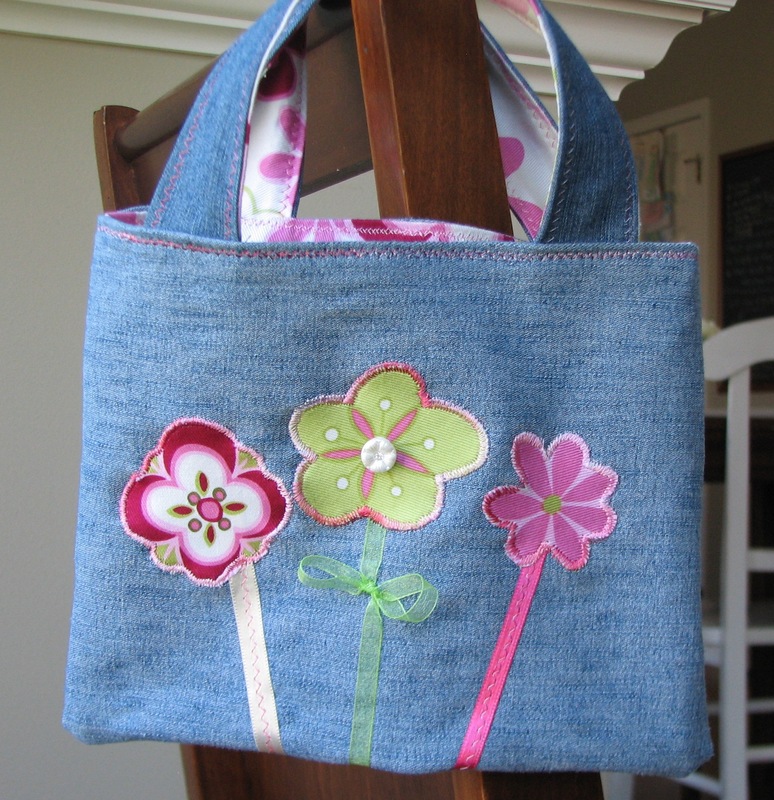 Pocket totes for little girls are a treat to make. 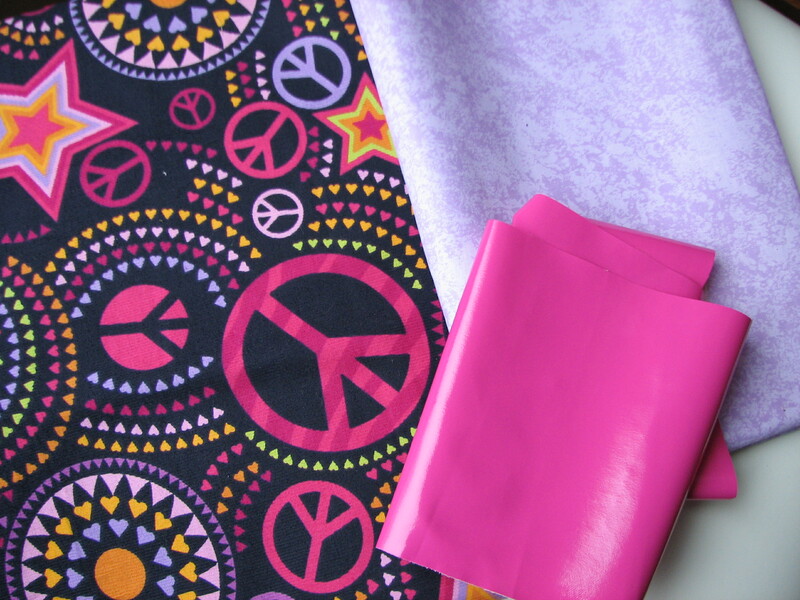 Pick energetic fabrics, mixed textures & coordinating colors. When completed, fill the pockets with all kinds of goodies. Patterns can be stifling. Not all the time, but sometimes. Do not be afraid to tweak things to your style! 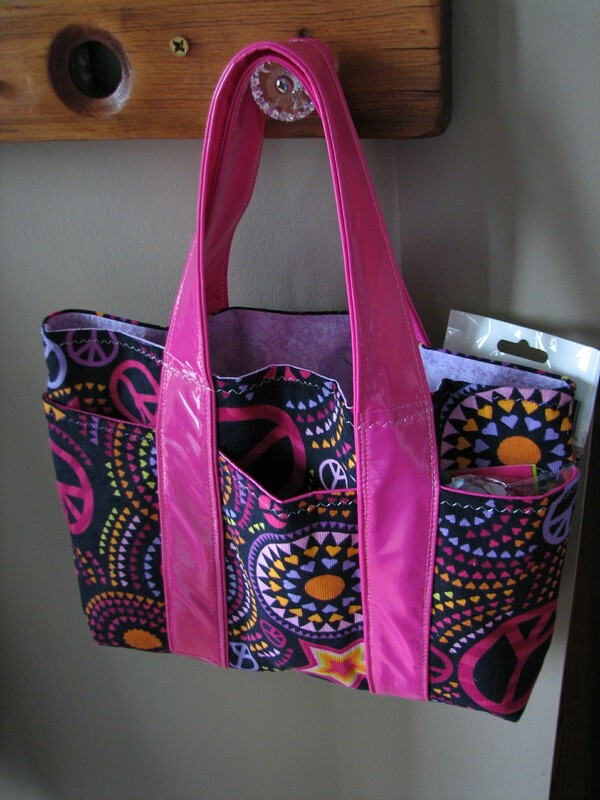 Bags & totes make a great canvas for your groovy ideas. 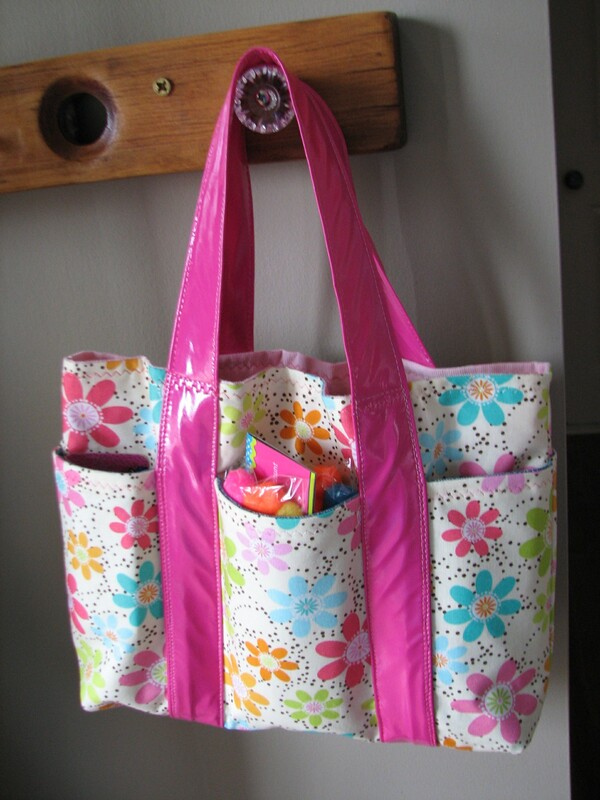 The pictured happy bag is quite floppy, so add stiffening for a little shape stability. 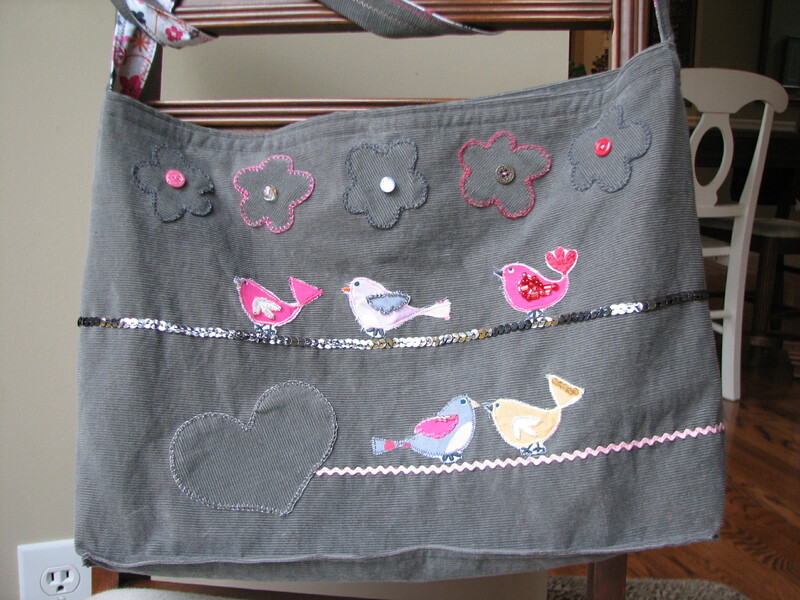 The cute birdies are appliqued fabric cut-outs, embellished with beads. 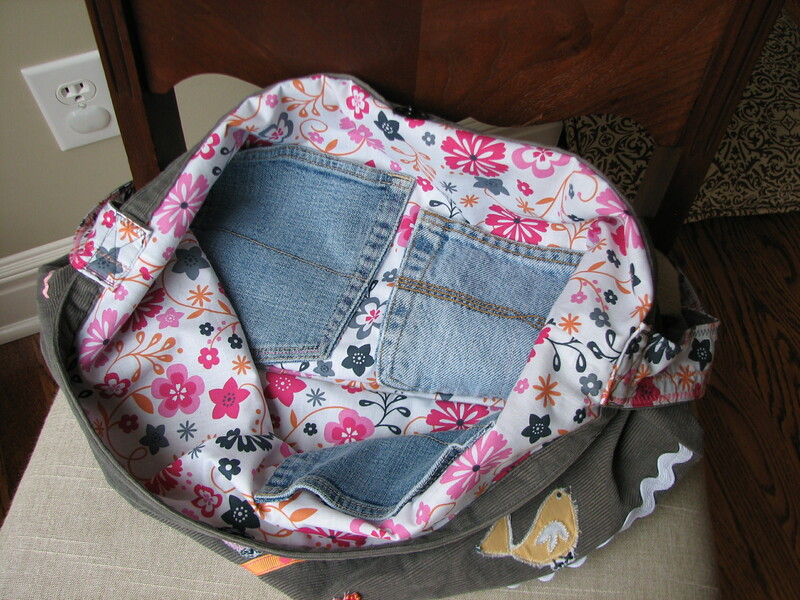 Use old jeans pockets on the interior of bag. 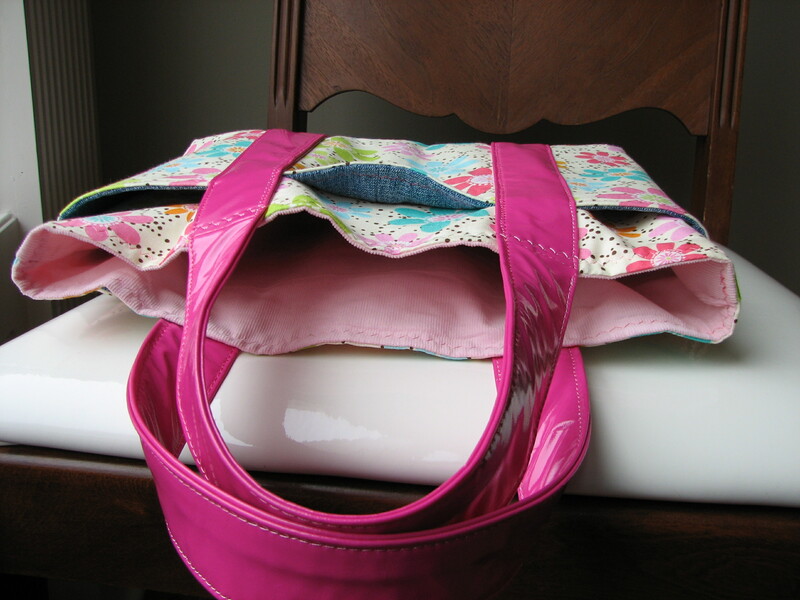 Sew vertical lines to make separate compartments for pens, chapstick, phone, etc.. When my gramma was a young mommy, she sewed new clothes from old clothes as a necessity. Now, it’s a craft with a hip name: repurposing. 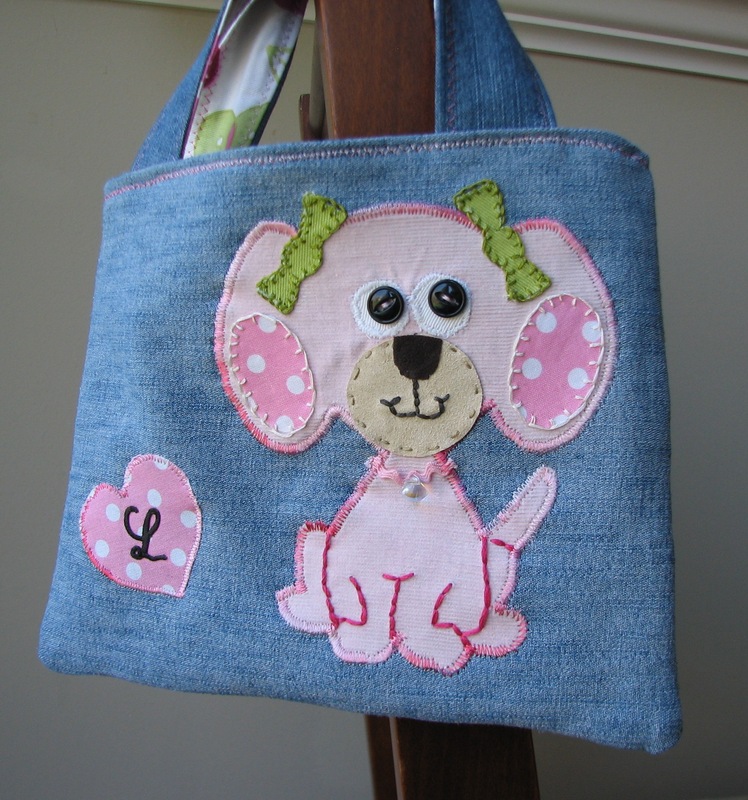 The bell bottom legs from jeans make great little party purses. 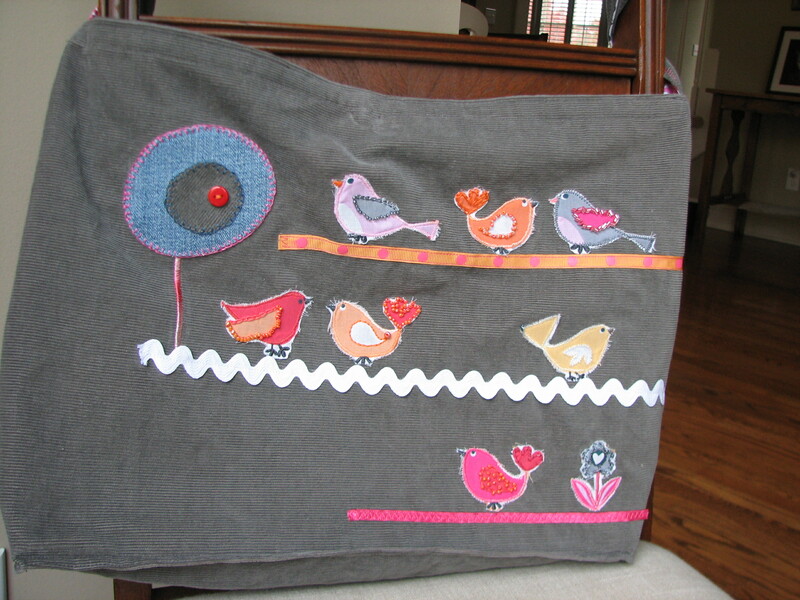 Find a sweet liner fabric, create an applique, & voila!